Terrorist attack in Paris—the second in 10 months. Refugees storm Europe’s borders. Ebola. Market crashes. Inter-racial strife. To such crises, the best that the advanced nations do is to react. Action – reaction beautifully describes physical phenomena—Thank you, Newton. 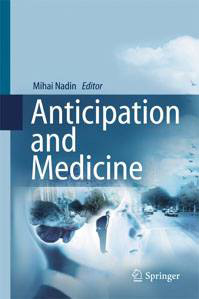 The living—individual human beings or society—is defined by anticipation: the current state is influenced not only by a past state, but also by possible future states. Think: terrorist attacks, regime breakdowns, disease, water shortage, flooding, power outages. Reaction is expensive, and in the long run useless: the problem returns. It focuses on the past and how to contain the damage. An anticipatory perspective—think immune system—is holistic. It looks not only at the isolated event, but at the whole of which the event is part: human body, society, political system, economy. It is focused on the Why?, that is, on meaning. There is a Why? to be acknowledged in addressing terrorist attacks, the refugee crisis, an epidemic, each drastic change that affects destinies. The change of perspective, from reaction to anticipation, has to happen now. Unless we want to continue to replace knees and hips, like we replace defective car parts, instead of seeking genetic healing. To react to mass migration instead of anticipatory action to remedy what prompted the massive uprooting of people, is surrender. Reaction is swift. Throw good (taxpayer) money after bad. It makes the political class look like it is doing something. It saves governments from the embarrassment of having to answer why surveillance failed to prevent an attack. Anticipatory action requires the patience of natural processes—sustainability will not be reached from one day to another. Education, like healing, takes time. A replaced knee is a spare part that might have to be replaced again. Floods or droughts, not only in California, are no less subject to a holistic understanding of everything involved. So are epidemics, and so is terrorism. As long as we remain married to the mechanistic view of seeing everything as a machine that can be fixed as each part breaks down, the next crisis is inevitable. In the diabolic equation of terrorism, reaction is part of the desired return. We gave anticipation away to terrorists—and they use it quite successfully. The determination to pursue an anticipatory action perspective can be achieved only if we think about the living in its complexity, not as the machine that governments want each of us to behave like. Such a decision involves a long-term commitment. It is time to make it.